Whether you pull up a pew, and relax and unwind with a refreshing pint in The Golden Heart’s chic bar area, or retreat to the welcoming dining space to indulge in a three-course meal with family and friends, you’re sure to leave with a smile on your face. Situated in the heart of Winterbourne Down, this premium pub, bar, and restaurant is perfectly equipped to accommodate all of your dining requirements, no matter what the occasion. 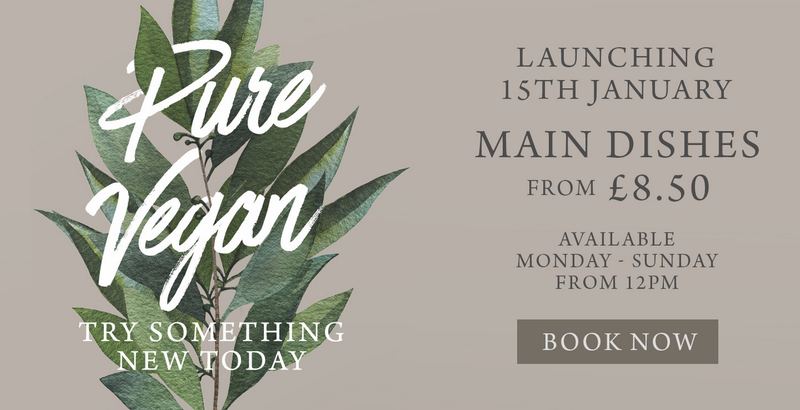 There’s something for all on our superb new vegan menu – packed full of flavoursome favourites with plant-based twists, it will leave you spoilt for choice. Enjoy roasted lentil falafel, an impressively-stacked aubergine, spinach & harissa burger and even some deliciously dreamy desserts. Available Monday – Sunday, served from 12pm.